Local retailers who sell tobacco can register for their Track & Trace ID codes on 30 April, HMRC has finally announced. Wholesalers and larger stores can pre-register a week earlier, on 23 April. 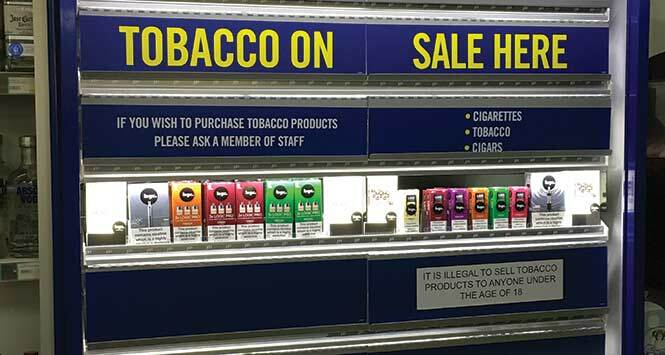 The new Track & Trace legislation comes into force on 20 May, and retailers who wish to legally buy tobacco from that date will require to have an Economic Operator ID Code for their business and a Facility ID Code for each of their stores selling tobacco. After a lengthy delay between announcing how Track & Trace would work and appointing someone to facilitate it, HMRC eventually handed the task to security and anti-counterfeiting specialist De La Rue at the end of February. The firm will start issuing IDs from 10 May, only 10 days before the legislation comes into effect. Wholesalers and symbol groups will be able to apply on behalf of their members, although retailers will have to request this. Bestway retailers can register online with the wholesaler to let it handle the application process for them. HMRC will update its guidance page when the application process goes live. To find out what the new legislation will mean in practice, read our interview with Imperial Brands’ Operations & Project Manager Stuart Ramsay.